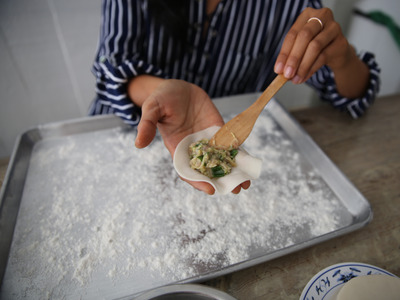 It’s hard for Marian and Hannah Cheng to remember a time in their lives when they didn’t have access to their mum’s freshly made dumplings. 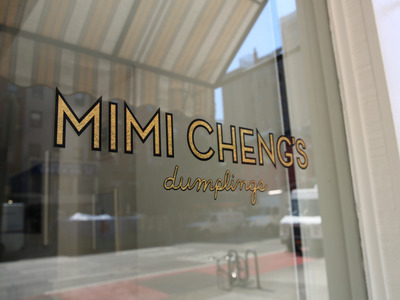 The sisters’ mum served as the inspiration behind the opening of their highly-successful NYC dumpling spot, Mimi Cheng’s. 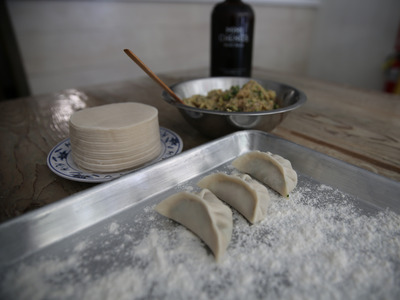 With a second location set to open soon, we sat down with Hannah and Marian to see how they turned their passion for dumplings into a successful business. 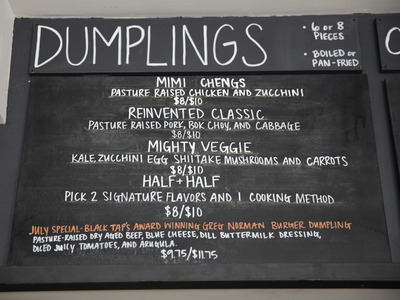 Hannah and Marian named their dumpling spot after their mum, Shirely Cheng, whose nickname was always Mimi. 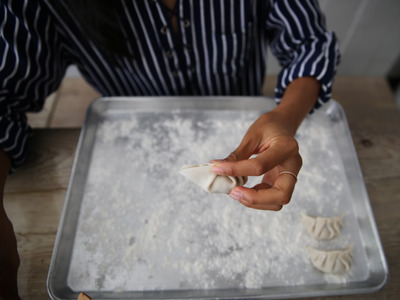 One of the sisters' first memories is crawling out of bed in the middle of the night to find the kitchen light on and their mum inside, wrapping dumplings. 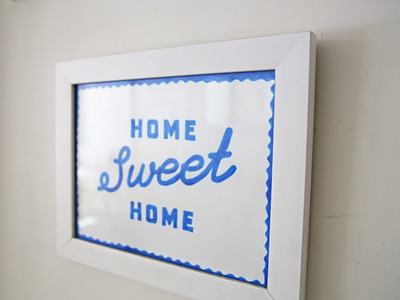 'That was always her way of taking care of us, even when she wasn't around, because she made everything from scratch. 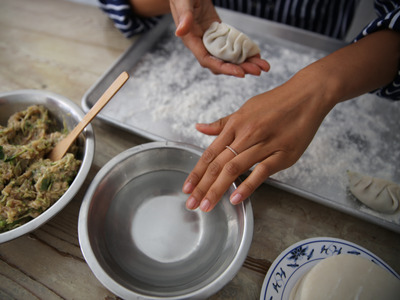 She knew what was going into the dumplings, and she felt happy knowing that we had something to eat,' Hannah explains. When the sisters' parents moved to the West Coast, they realised they needed to find a replacement for the 'dumpling train' they had grown used to. At the time, Hannah was working on the trading floor of JP Morgan, and Marian was working in wholesale at Dolce and Gabbana, and then Burberry. ... much to their parent's dismay. 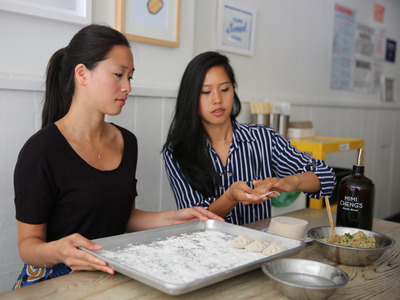 'It's literally every Asian parent's worst nightmare,' Hannah comments. 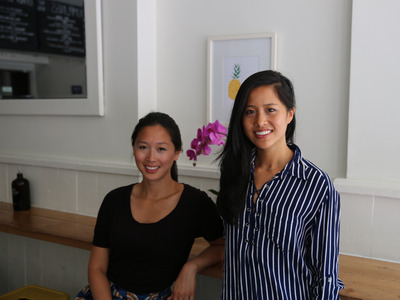 Their parents eventually came around to the idea and even turned a two-week visit into a three-month visit to help with the opening of the restaurant in July of 2014. 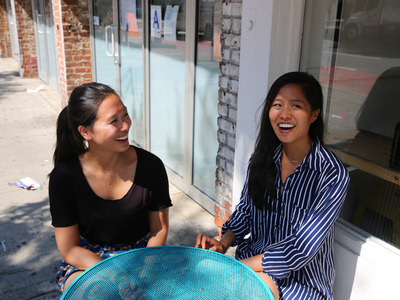 'It was their summer internship,' Marian jokes. 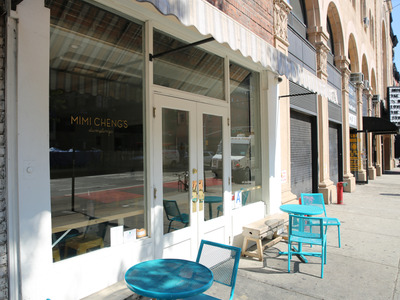 Thanks to a New York Times write up the day before opening, Mimi Cheng's opened to crowds of hungry customers. 'We basically had to close our doors after lunch because if we had left them open, there would be nothing for dinner,' Hannah remembers. 'Had we known how hard it would be, we probably would have never started. So in this case, ignorance was bliss,' Hannah explains. 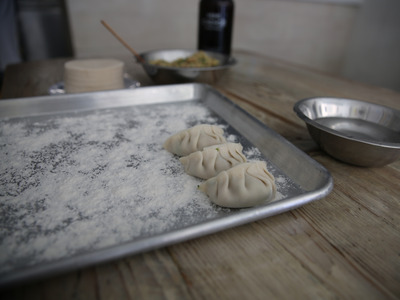 The restaurant's menu is fairly limited because their dumplings are made from scratch daily, and with fresh and organic ingredients. That doesn't stop the sisters from getting creative with the menu. 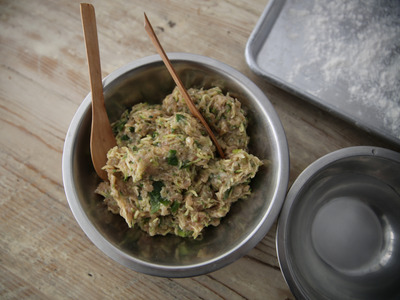 Each month features a special flavour -- sometimes the flavour is a collaboration with another like-minded restaurant or chef, sometimes it's seasonal. 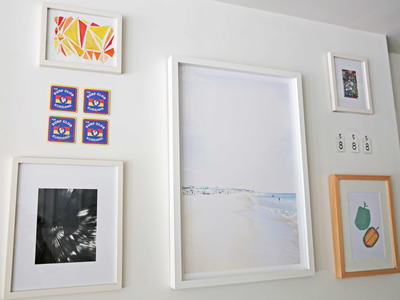 'I feel like our target consumer is basically ourselves,' Hannah says. 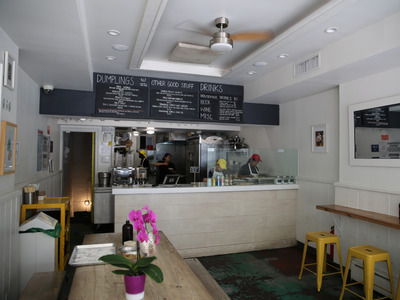 Past flavours have included a chicken parmesan dumpling and a burger dumpling. 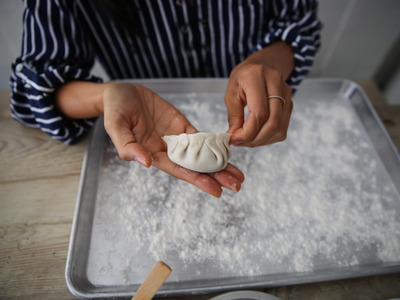 'Every culture has some sort of dumpling in it. 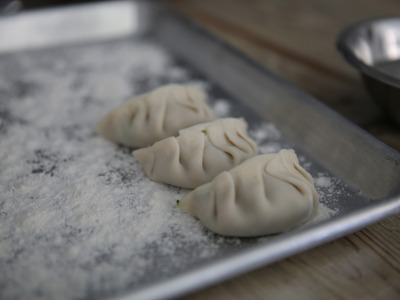 Whether it's a pierogi, or it's an empanada. It's a good channel to be creative,' Marian says. 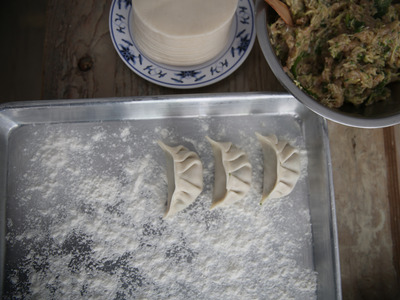 The sisters not only learned the importance of good food from their mum, but also the importance of hospitality. 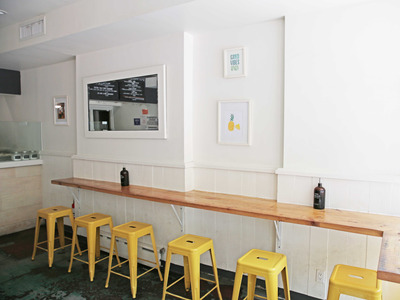 'This restaurant is really an extension of our home. 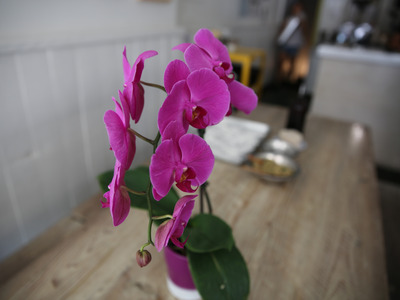 When you come in, you're being welcomed to our dining table. You're coming over for a home-cooked meal,' Hannah says. Hannah recalls their mum's favourite part of helping with the restaurant: opening the door to a line of customers outside and welcoming them in. 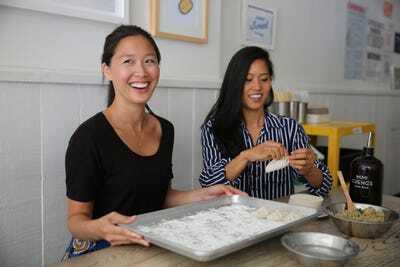 Mixing family and business might seem tough, but the sisters say they make great business partners. They have the same vision and priorities, and they fully trust one another.